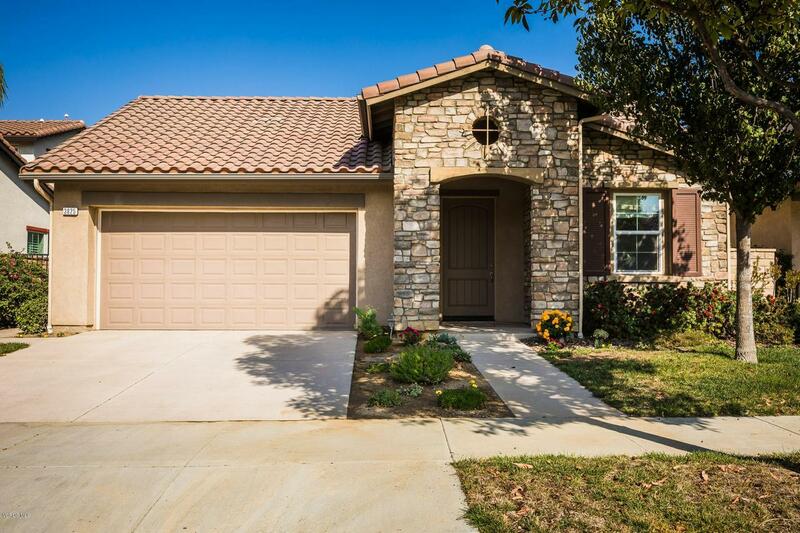 Rare Single-Story Village At The Park Home! This Beautiful Home Offers 3 Bedrooms Plus Office, 2 Bathrooms, 2049 SF Of Living Space Located On a Cul-De-Sac. Kitchen Features Granite Countertops, Travertine Backsplash, New Stainless Steel Appliances Including Built-In Microwave & Oven, Refrigerator, Gas Cooktop, Large Island w/Breakfast Bar, Walk-In Pantry, Recessed Lighting & Marble Floors. Family Room Opens To Kitchen w/Lots of Natural Light, Fireplace, Entertainment Nook w/Built-In Shelves, Hardwood Floors & Glass Door Out To Backyard. 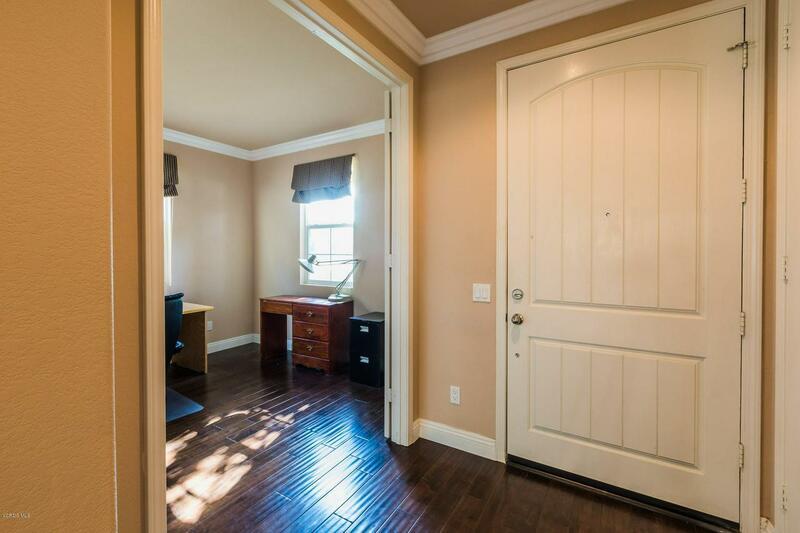 Private Office w/Hardwood Floors, Double Doors, High Ceilings & Crown Molding. 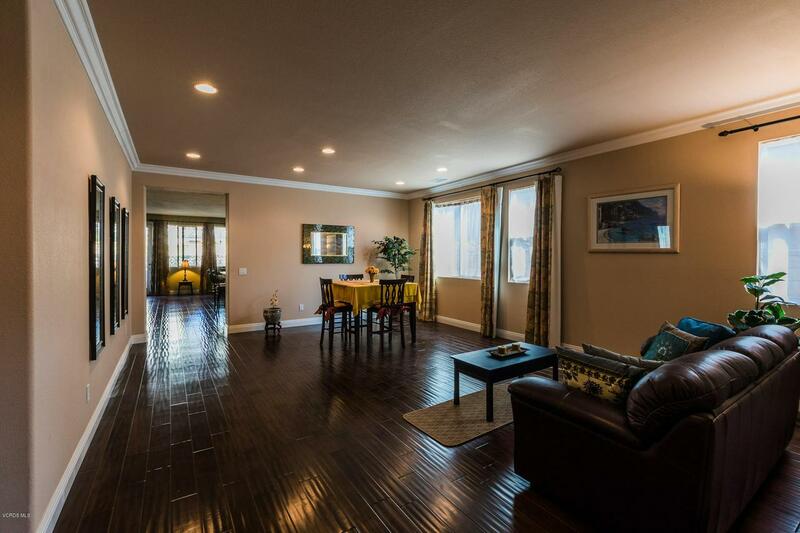 Spacious Living Room & Formal Dining Room Have Large Windows & Recessed Lighting. Master Suite Features Carpet, Walk-In Closet, Dual Sinks, Granite Countertops, Tile Backsplash, Tiled Walk-In Shower, Deep Tub w/Tile Backsplash & Marble Floor. Two Guest Bedrooms Have Wood Blinds & Carpet. Guest Bathroom w/Dual Sinks, Granite Countertops & Backsplash, Tub/Shower Combo & Marble Floors. Lovely Backyard w/Huge Covered Patio, Stamped Concrete, Built-In BBQ & Block Walls. 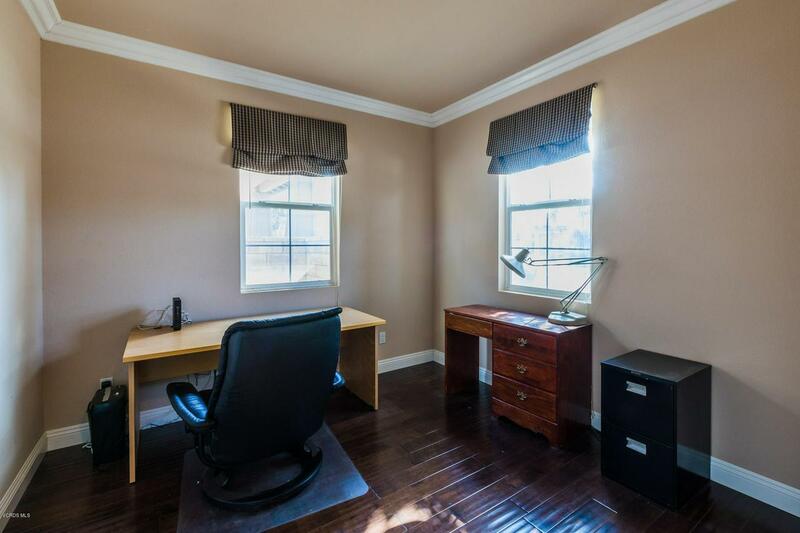 Other Features Include Crown Molding, Dual Pane Windows, A/C & Laundry Room w/Cabinets. Low HOA Provides 2 Resort-Like Community Pools w/Spas, Clubhouse, Fitness Center & 2 Parks. Sold by Heriberto Farfan BRE#01362147 of Re/Max Gold Coast Realtors.